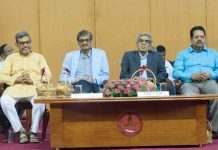 New Delhi: The second day of the third Indian Public Library Conference 2017, the annual conference of the Indian Public Library Movement for transforming Public Libraries with the theme ‘Reaching the unreached’ witnessed debates by parliamentarians at the India Habitat Center. The three-day long conference features multiple forums around the role public libraries could play in reaching the unreached. 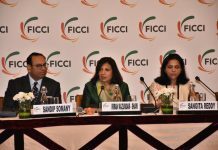 While the first day featured discussions around the potential and the possibilities for a better public library experience, the second day saw engaging conversations involving politicians and parliamentarians discussing the implementation part of it including Govt. policies and legislations in making transformation of public libraries a reality. 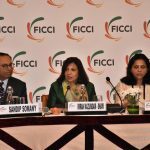 The session titled ‘Citizen Speak About Public Libraries’ debated the perception of the citizens about public libraries which have been collected through market research and the ways and the means to strengthening these institutions. Dr. H.K Kaul, Director, DELNET, highlighted a lack of concern and awareness with respect to the roles public libraries can play in the community today. Pradeep Narayanan, Director, Research & Capacity Building, Praxis India, emphasised that libraries were quite similar to the playgrounds for children which helps in building a persona. P. Jayarajan, MBE, Chair, IPLM Advisory Board said that transforming libraries depended on effective dissemination and publishing of research and evidence to multi stakeholders. Mr. Ajaz Lone, M & E Specialist, IPLM talked about the importance of baseline surveys to facilitate the diagnosis of issues and prescribe meaningful solutions to the issues public libraries face. On the role of Information Technology in the library space, Dr. ARD Prasad, Head, Documentation, Research and Training Center, Bangalore talked about foreseeing the role of a librarian as a data scientist and a guide in information sensing. P.K Upadhyay, Technical Director, National Information Centre stressed on taking advantage of the Digital India program and utilizing the existing structures of the Govt. 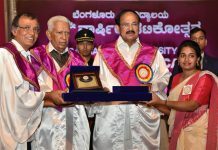 of India such as the National Knowledge Network. Prof. Partha Pratim Das, Joint Principal Investigator, National Digital Library Project, talked about building a ‘knowledge ecosystem’ through various key interventions discussed by him. 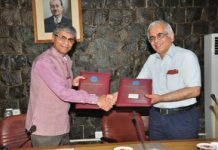 Dr. Jagdish Arora, Director INFLIBMET (UGC) discussed about the E- Resources and various challenges that it was facing including the huge number of languages in the country. Dipendra Manocha, Director, Regional Resource Center, Daisey Consortium highlighted the unavailability of digital books in Braille for the blind and how ‘Sugamya Pustakalaya’ was a fallback mechanism for it. Dr. Dileep Konatham, Director IT, Govt. of Telangana informed how Telangana was going to become India’s first highly connected state through the laying of high-speed fiber grid. There were also parallel sessions ideating on declining reading habits, partnerships and library legislations. The session concluded with Mr. Arun Chakraborty, Director General, Raja Rammouhan Library Foundation as Chief Guest. Welcoming participants on the concluding session of the IPLC was Mr. Shrikant Sinha, CEO, NASSCOM Foundation, who thanked the participants for their active participation. Dr. Shubhangi Sharma, Executive Director of IPLM presented the Key Recommendations of IPLC 2017 followed by the five key demands presented to the Ministry of Culture by Dr. B Shadrach, founding Chair and Advisor, IPLM. Mr. P Jayrajan, MBE, Chair, IPLM Advisory Board offered the vote of thanks. 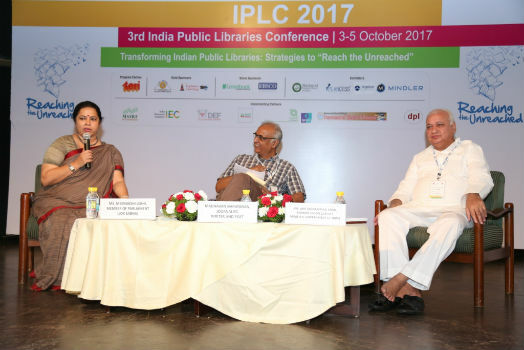 The lively sessions at the first two days of the Indian Public Library Conference addressed a plethora of issues being faced by Public Libraries in India as t drew to its closure. The third and the final day of the conference will have capacity building workshops for the participating librarians and library science students on variety of issues pertinent to the public library space.